Making a premium product is challenging, but manufacturing one thousands of times takes passion. All Luna products are engineered, manufactured and sourced exclusively here in the United States. 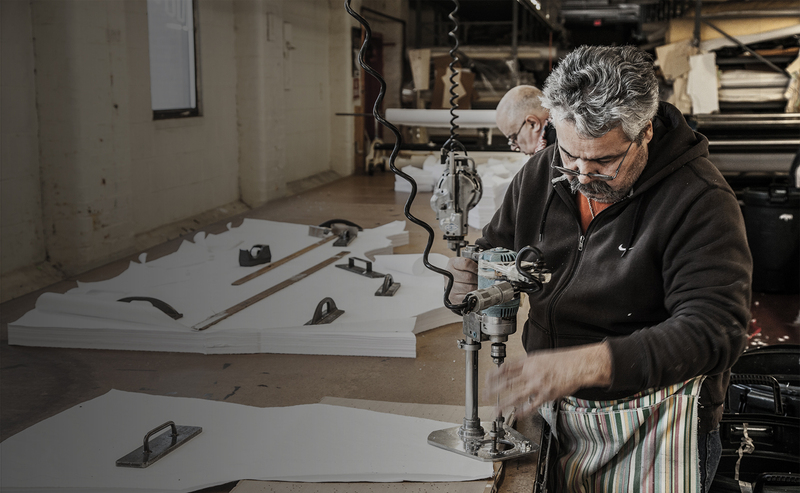 This intense passion runs through our machines, the hands of our skilled artisans and within the minds of our product engineers. 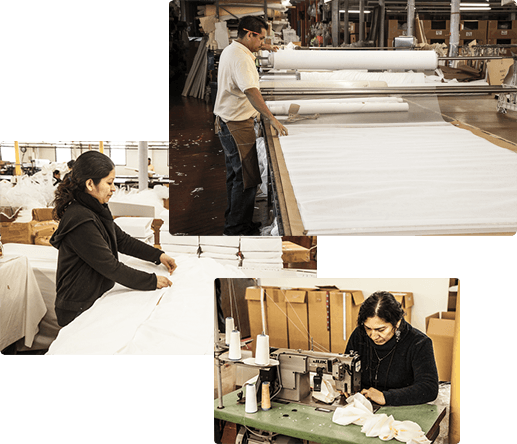 Our mission and promise to our customers is to provide the best mattress cover on the planet -- one that is safe, provides real health benefits and full protection for your mattress and family. Since 2007, we’ve protected over a million mattresses, establishing a high level of trust and reputation for the Luna brand. If you’ve never owned a Luna product, we invite you to experience the Luna difference. If you’re a returning customer, we welcome you back! 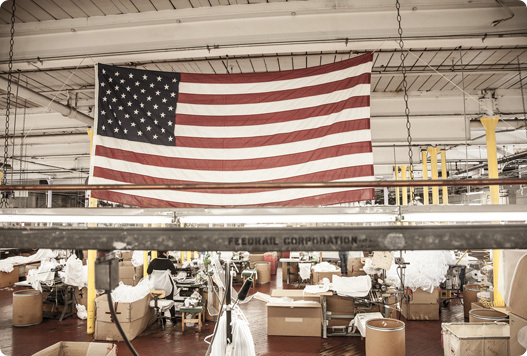 We promise to produce and source every component of our product here in the United States. This commitment not only creates jobs domestically, but also allows us to maintain quality at the standards our customers expect. No matter whether you purchase one now or again in 10 years, you’ll experience the exact same level of quality and workmanship. We also promise stand behind our product for the full extend of the 10-year warranty. It’s these commitments that have helped Luna become one of the fastest growing brands of mattress covers. Our people make up the soul of Luna encompassing everything we do or make. Without their efforts, Luna wouldn’t be where it is today. Each product begins and ends with the ideas and processes established by each Luna team member. Together, we are constantly building something larger than any one individual. Whether its developing new products or improving current ones, our passion for quality and performance is reflected within each product that leaves our factory. Our exemplary quality assurance practices provide our clients with quality, worry-free products. Providing a hypoallergenic product that will not interfere with our health is something that we take very seriously. We only source our products from materials made domestically including our hypoallergenic waterproof layers and natural cotton terry. This has helped Luna provide real health benefits for those will asthma or allergies. Phthalates are a group of chemicals used to soften and increase the flexibility of plastic and vinyl. Phthalates have been linked to reproduction developmental issues in male children as well as classified as a possible carcinogen. For peace of mind our products contain no Phthalates. Vinyl is the most widely used material for waterproof materials. However, it has a strong smell, sleeps hot, makes a crunchy sound, and can cause adverse health issues for those with asthma and allergies. Our technology produces none of these adverse issues providing an undetectable layer of protections for your and your family. The above left image is the actual knitting machine used to makes the fabric for our protectors. The machine knits 24 hours a day in order to provide the thousands of yards necessary to keep up with demand. The above right image is below the knitting machine where the final fabric is produced into rolls. This entire process is completed here in the United States from American cotton.